Family law attorneys point out that co-parenting does involve both parents; parents are expected to take a part in their child’s upbringing even if their preference is to be disassociated with the former spouse. If you want to maintain a relationship with your child and foster a healthy environment, both parents must work together to meet co-parenting requirements. Texas Family Custody Law - What is Expected for Co-Parenting? The Texas family court prefers to decide custody situations based on what is in the best interest of the involved child or children. Child custody attorneys find that unless there is some specific reason why a parent should not have access to their child, most often the court assumes that both parents are good parents and equally fit to continue to raise their child together. 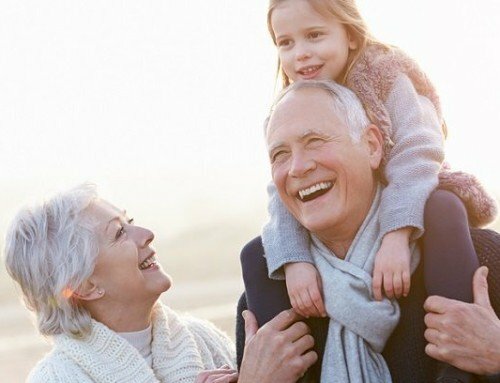 As such, a joint conservatorship means that each parent is still expected to fulfill their duties as a parent and be one-half of the decision-making team to ensure their child has a positive upbringing. Most importantly, each parent is entitled to visitation and cannot be restricted from seeing their child unless the court has made this restriction. Why is Successful Co-Parenting So Important? Your family law attorney understands that co-parenting can be stressful at times. Still, child custody lawyers stress the fact that parents must recognize that this arrangement is mainly for the benefit of the child. As adults, it’s our responsibility to put our own wants and needs aside to put our children first. This could not be more important than in cases of divorce that involve children. Research indicates that children of divorce have the best chance of leading normal, healthy lives when both parents are able to co-operate and co-parent as expected. Children with parents who either cannot co-operate with each other or simply remove themselves from spending time with their children are often left with lasting emotional damage. Although there will be times when co-parenting seems impossible, child custody attorneys advise their clients to think in terms of what is best for your child. It is essential that ex-spouses learn to negotiate and compromise on parenting issues, making decisions based on what the child wants and needs. Fighting, attempting to restrict visitation, and other disagreements especially in front of the child can cause great damage to both the child and the co-parenting relationship. Child custody lawyers agree that the best idea is to become resolved to the fact that you and your ex-spouse need to find ways to work together for the benefit of your child. This is what the Texas Family Law code expects of both of you - and what your child needs. Co-parenting after divorce can be a challenge. Family law attorneys find that with the right guidance and a willingness to negotiate and co-operate, co-parenting does not have to be that hard. Work with your child custody attorney to brainstorm about the best ways to compromise and create an acceptable parenting agreement. A plan that meets the expectations of the court and hopefully your child will help him or her grow up to be healthy and well-adjusted no matter what the family circumstances may be.